Did you know? It's a lot cheaper Bristol to London by National Express Coach if you choose a Tuesday 6 weeks ahead where National Express have some advance tickets for just a fiver (arrives London mid morning) and the train leaving Bristol at the same time is only offering anytime tickets because it arrives in London in time for a day's work! Very clever yet misleading advertising, nationalexpress! Surely your advertising people can do better than this garbage? Just been quoted £112 for two of us to Heathrow airport from Bristol seems expensive to me ! Or am I being dumb ? That's rich, given that National Express proved to be particularly c**p at running trains. However they only have one ticket at that price and if you book in advance on Trainsplitting.com you can get really cheap rail fares. 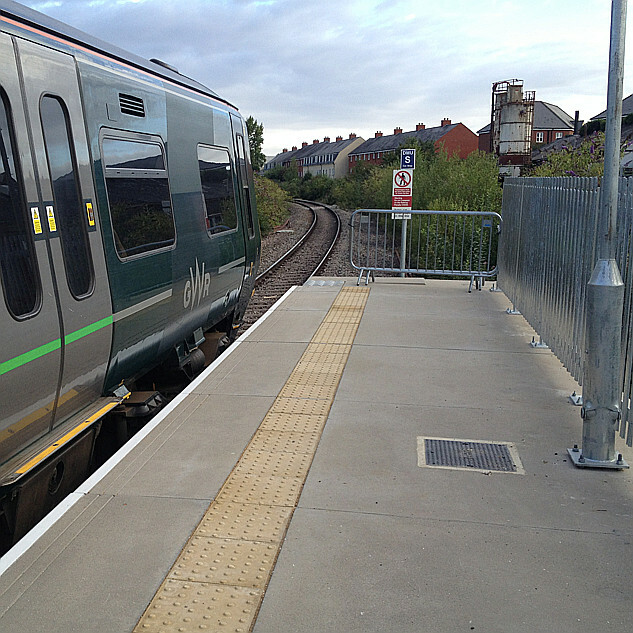 I recently booked one for a friend to go from [Somerset station] to [Norfolk station] for £16! The Facebook advert is sponsored - keeps popping up for me; I could share it but can't find a link to paste it here. In any case, in my view it may be so distorted in the items it compares that it's a case for Advertising Standards. It's not misleading, it's a "hook", a common enough marketing/advertising device to get potential customers to take an interest via a headline. It makes no claims regarding arrival times in London - you are emphasising that - and the "small print" makes the criteria and methodology used quite clear - same time, same date. The railways themselves are far from averse to using such tactics when it comes to advertising heavily restricted "cheap" fares which are only available if you book weeks in advance with fares becoming eye wateringly expensive nearer the time. Indeed ... totally seen loads of those! A propos, I note that Asda sell apples at £2 a dozen, whereas American Golf sell golf balls for £41.99 a dozen. Now some of you are probably going to argue that I'm not comparing apples with apples... but then neither are National Express. On the basis of the above link contents the NE advertising seems quite clearly to be a job for the ASA. Unfortunately from personal experience I regard the ASA as a complete waste of time. The usual outcome is an undertaking not to run the ad again, but as generally happens after the campaign has finished it isn't much of a penalty. Although the ASA were swift once with a complaint of mine against a hotel advertising prices online to consumers ex VAT. 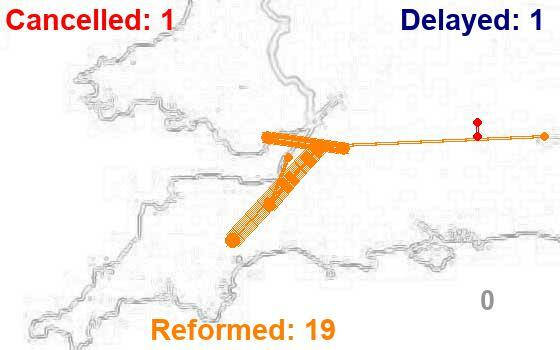 2 different means of transport, on the same day, at the same time, going from Bristol to London, cheapest currently available Advance fares quoted for both...…..I'd say that's a pretty reasonable set of criteria for comparison? As someone else has said, this sort of advertising is commonplace - take your best deal and compare it with your competition's worst deal. So, although it is misleading, there is enough of a grain of truth in it to make sure it doesn't fall foul of advertising standards. The trouble is, this "grain of truth" narrative is used daily by the newspapers and nobody bats an eyelid. For example, a perfectly sensible packaging measure to stop fruit and veg being damaged in transit was reported by those with an axe to grind as "EU bans curly cucumbers"
With you on the curly cucumbers though!!! It isn't a reasonable comparison at all, because the salient time is when you arrive not when you depart. That's an entirely subjective point of view. What is salient to you in terms of arrival time, may well be totally unimportant in comparison to the much cheaper price to another customer with a different set of priorities. I agree that it's subjective as long as we are comparing apples with apples - £18.50 by train compared with £5 on the bus. No objective rational person would pay £109 to arrive over two hours early. 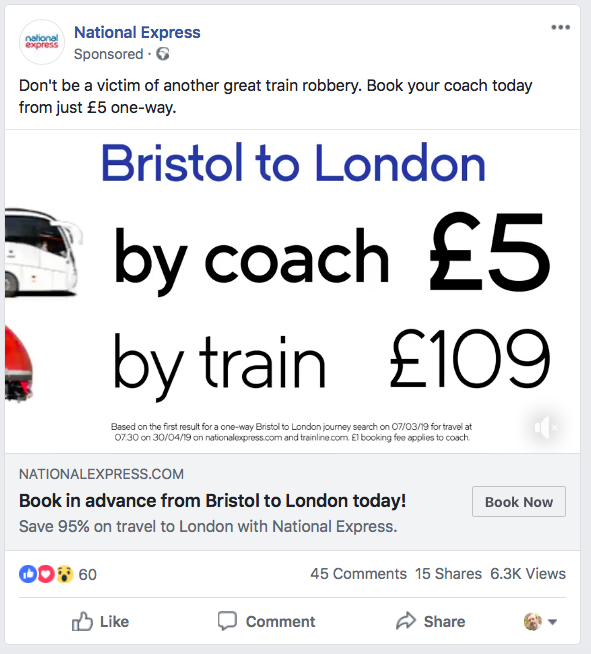 My point was that whilst a traveller can get to London by National Express for £6.00 - not £5 - the booking fee is also shown in the small print but hardly emphasised in the ad, the vast majority of passengers will pay a lot more (I believe National Express run an hourly service Bristol to London but I haven't checked). Conversely, a rail passenger can pay £109 for a single to London but the vast majority will pay a lot less.